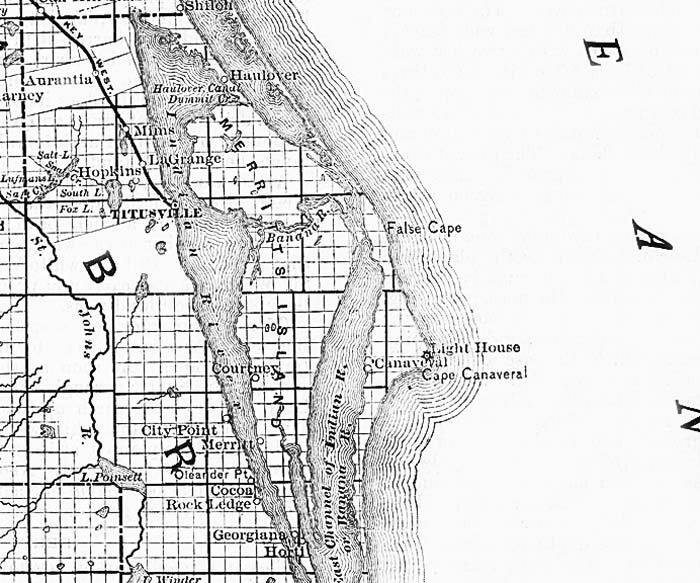 Description: This detail shows county lines and county seats current to the period, major towns and cities, and railroad routes and stations for the northern portion of Brevard County. The Townships are subdivided into sections, and those sections offered for sale by the land department of the South Florida R.R. Company are shown in orange. Map scale is 1:633,600. Notable features of the detail include the Saint Johns River, Cape Canaveral, and Titusville.